The HSTW school improvement framework is based on the belief that most students can master complex academic and technical concepts if schools create an environment that encourages them to make the effort to succeed. One major focus of this effort is high-quality career and technical edcuation (CTE), which can connect directly to students’ interests and goals and prepare them for success in postsecondary studies, advanced training and careers. HSTW works with many states, districts and schools to improve the quality of their CTE programs. SREB’s new initiative, Advanced Career (AC), is incorporating mastery of college- and career-readiness standards into authentic projects that are meaningful to students. Each member of the 12-state consortium is designing a sequence of four CTE courses in a high-wage, high-skill career field (such as global logistics or aerospace engineering) that is important to that state’s economy. SREB research has shown that up to 75 percent of new CTE teachers arrive in the classroom from industry, through alternative preparation programs that provide little to no preparation on how to teach. 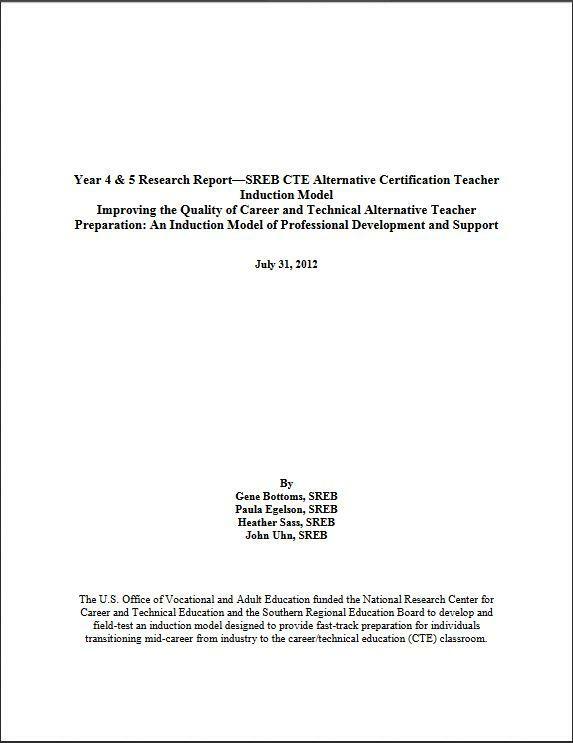 That’s why SREB has partnered with the National Research Center for Career and Technical Education (NRCCTE) for the past four years to develop and pilot an evidence-based model for preparing these new CTE teachers. Oklahoma and South Carolina already have served as field-test sites, and Oklahoma continues to implement the modules. Several agencies in Georgia, Mississippi and Tennessee are at various stages of implementation. SREB will evaluate use of the model and content of the materials every two years. The demand for effective career/technical education — and CT teachers — has grown as the nation seeks a more highly skilled and educated workforce. 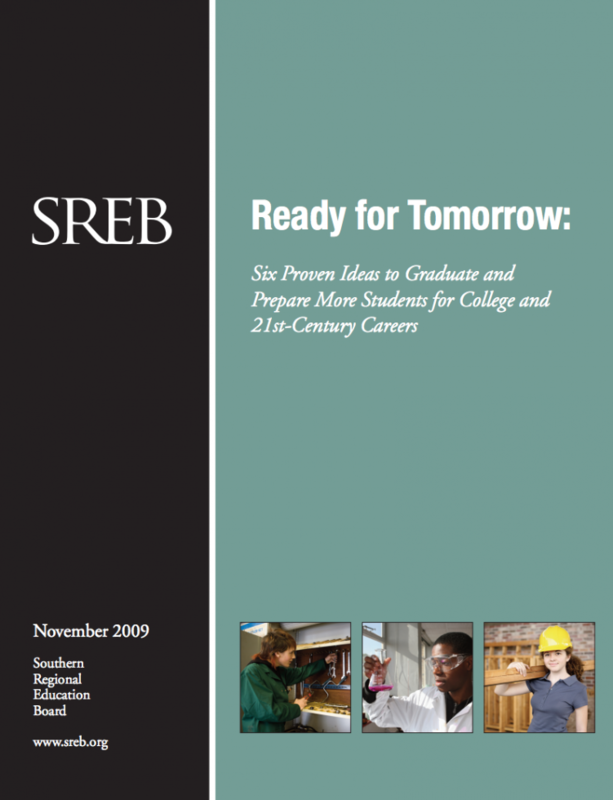 The U.S. Office of Vocational and Adult Education funded SREB and the National Research Center for Career and Technical Education to develop and field-test an induction model to prepare individuals who want to leave their mid-career industry jobs and become career/technical education teachers. This document is the Year 4 and 5 Research Report on the model, which includes professional development, workshops, coaching and other components. Evidence from SREB’s High Schools That Work initiative confirms that more students can be prepared for postsecondary opportunities — college, advanced career training or both — when schools combine rigorous academics, authentic projects and assignments in academic and career/technical classes, and guidance and extra help. This report identifies six clear-cut conditions that schools can create in their career-focused programs of study to increase students’ college and career readiness. As states continue to recognize the important role of career/technical education in school reform, they will need new methods for measuring students’ technical and academic achievement. One assessment option states have is to allow students to pass approved employer certification examinations in lieu of certain academic examinations, in subjects other than reading, writing and mathematics. 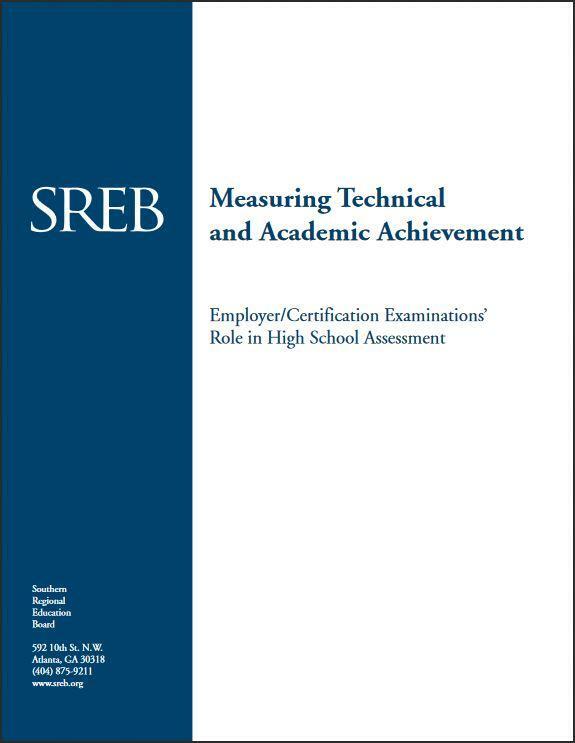 To assist states in identifying potential alternative examinations, SREB reviewed and evaluated more than 200 employer certification examinations, using stringent criteria. In total, 177 examinations are recommended for approval, 86 of which are recommended without reservation and 91 of which are recommended on a provisional basis. The full report contains a brief description of and observations about the nature of these examinations. 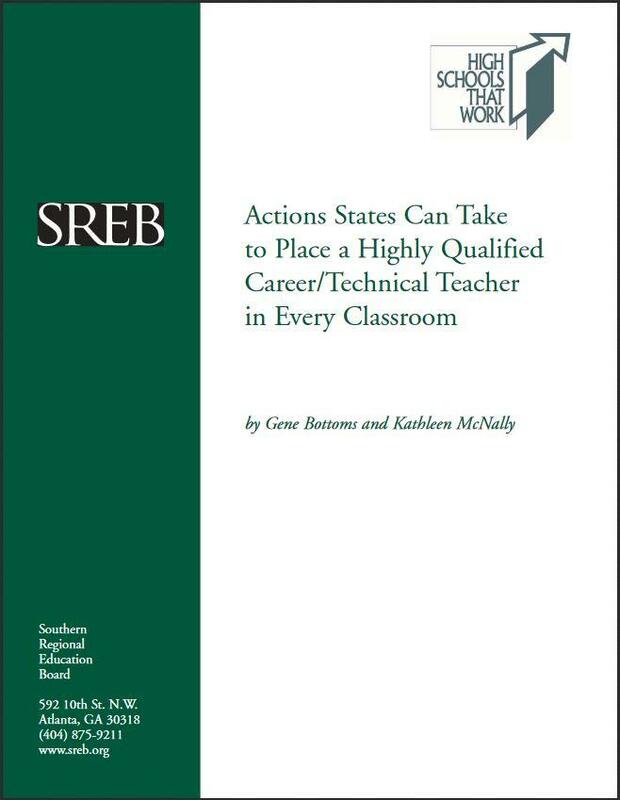 Besides presenting actions for states to take to strengthen the preparation of their career/technical teachers, this report also addresses five key questions with respect to recruitment, preparation, induction and support of career/technical teachers: 1) What is the route for becoming a high school career/technical teacher? 2) What would an improved system to prepare these teachers look like? 3) What does the current system look like in selected states? 4) What can states do to close the gap between current and improved systems? 5) How can states work to support reciprocity?